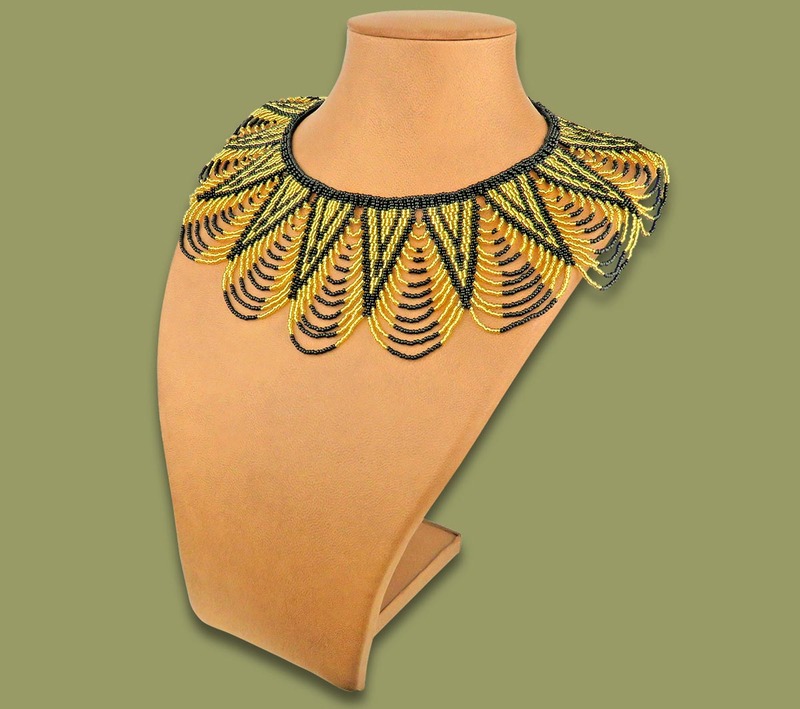 African Beaded Necklace Zulu Spear Fringe Design - GOLD BLACK. Handmade by highly skilled African Beadwork ladies from the rural areas of South Africa. Choker style necklace with ball and loop close at the back. This is a handmade African beaded necklace and all sizes and weights are an average and may vary slightly. Traditional African Beaded Necklace.